211 Bernard: TONIGHT! 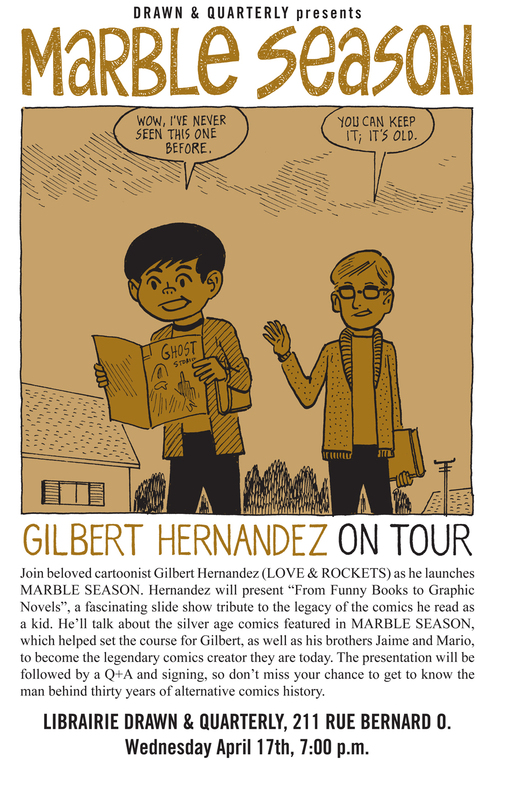 Gilbert Hernandez launches MARBLE SEASON! TONIGHT! Gilbert Hernandez launches MARBLE SEASON! We're so excited for this! Gilbert Hernandez will be at the bookstore tonight, Wednesday, April 17th at 7 p.m. for the launch of his first semi-autobiographical work. Marble Season is a beautiful book that captures how it feels to grow up, bringing together all those exciting and crushing moments that define everyday life as a kid. We hope to see you all here at the bookstore this fine evening!